wedge type trough on the left. when removed allows the wedge to be locked into place to maintain the correct slope on the trough. supplied with a flush fitting lid or a recessed lid to accept a surface. Second product image shows a wedge type trough with the lid removed and the wedge in place. Third product image is with the lid installed. The photo shows a wedge type trough on the left. 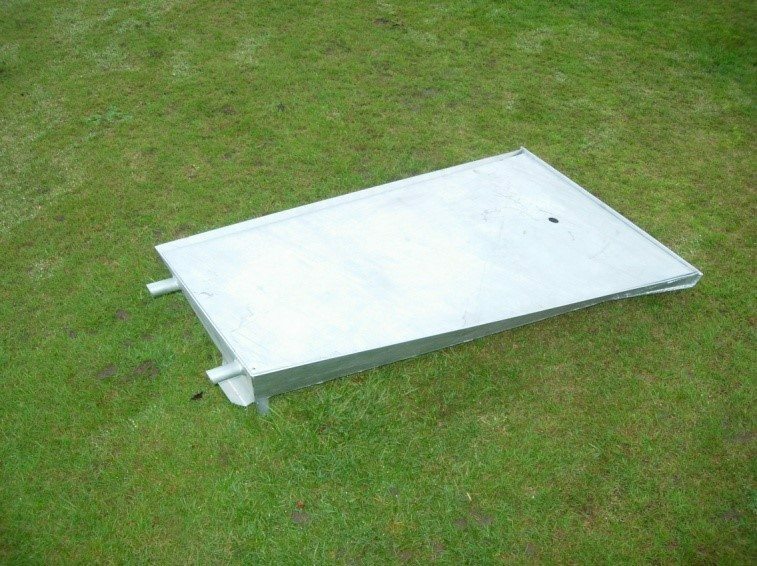 This has a stronger reinforced lid which is recessed for the application of a surface, which when removed allows the wedge to be located into place to maintain the correct slope on the trough. 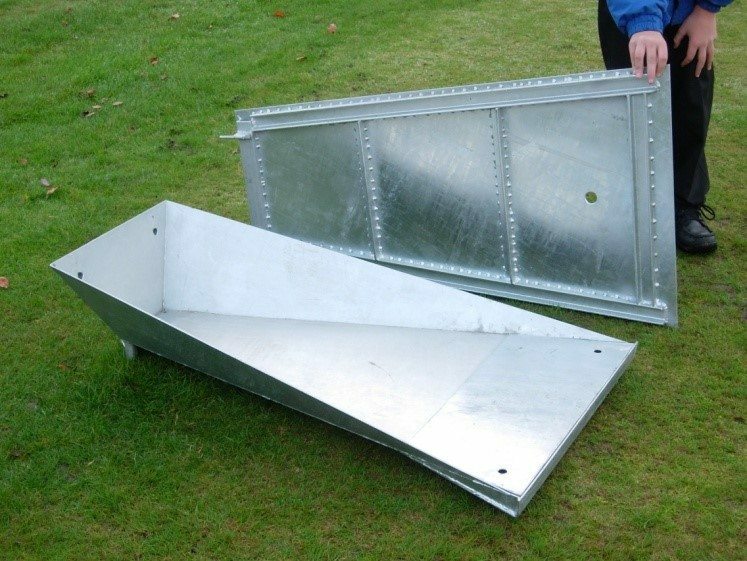 The photo shows a normal pole vault trough on the right which can either be supplied with a flush fitting lid or a recessed lid to accept a surface. 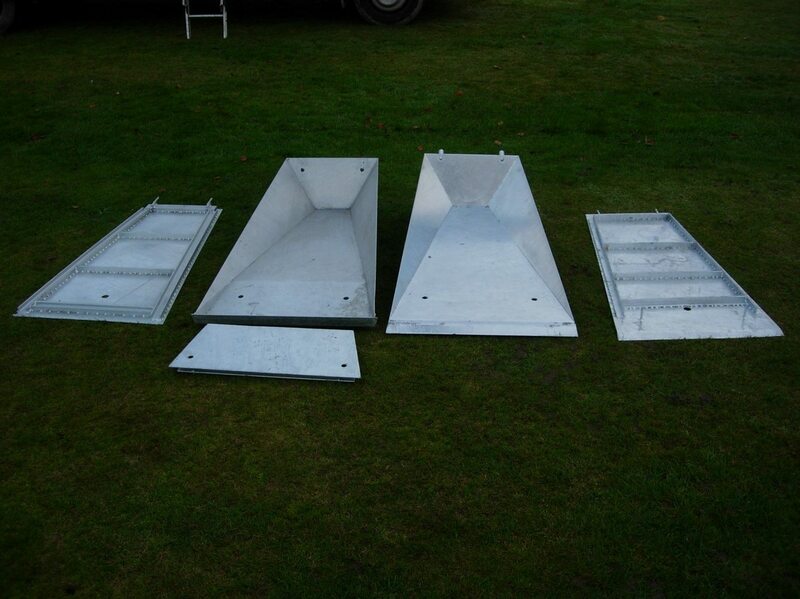 All Pole Vault troughs are made from galvanised steel. The second product image shows a wedge type trough with the lid removed and the wedge in place. And the third product image is with the lid installed.